We offer a full-on service from the identification of your needs to the completion of the rent or purchase - after-sales service is not optional with us. International clients require an international team. Our team comprises experts from various nationalities and diverse backgrounds. We believe our activity is about understanding people and businesses through a personalized and straightforward approach, rather than simply dealing properties. rare 3 bed duplex for sale at habitat. charming 3 bed for sale and rent at millennium. fantastic 2 bed for sale at noble be 33.
luxurious sea view house for sale in patthaya. urban 4 bedroom quarter 39 town house for sale. bright 3 bed house for sale in ekkamai area. cozy 2 bed for rent and sale at noble reveal. serene 3 bed for rent at siam penthouse. 3 bed leasehold for sale at the grand regent. 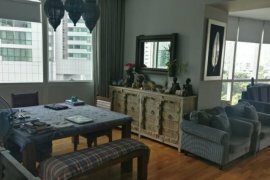 2 bed condo for sale and rent at sathorn gardens. 4 bed house for sale at mantana village. luxurious 2 bed with private pool at le raffine 39.
modern 4 bed town house for sale in ekkamai. luxury stylish house for sale in pattanakarn. large 4 bed to renovate for sale at ds tower 1. 6 bedroom single house for sale in don muang. value 3 bed for rent and sale at the niche. spacious 2 bedroom condo for sale at royce. superb 1 bed for rent and sale at millennium. contemporary 2 bed for sale at baan sathorn.